DIRECT FROM MADRID, SPAIN, for two-nights-only the breathtaking MARÍA JUNCAL presents a superb evening of heartfelt flamenco dance. Considered one of the most important flamenco dancers of her generation, María has created a visual choreographic language that uniquely reflects her own personal journey. 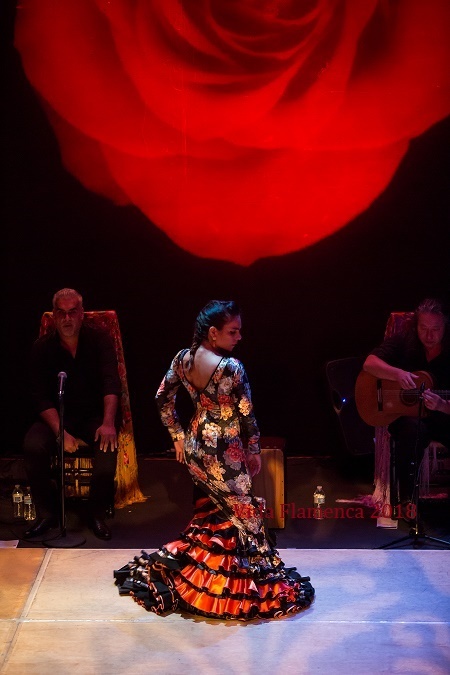 Join us for her Los Angeles debut at the intimate Colony Theatre for an uncompromising evening of impassioned flamenco. UNESCO has declared Flamenco to be a World Heritage treasure, experience a unique, cultural tradition of Spain in the heart of Burbank! Native to the Canary Islands, María was born into a family of flamenco blood, the Borruls. María Juncal began her path studying ballet and Spanish classic dance in Tenerife, where she was a pupil of Miguel Navarro, Rosalina Ripoll and her aunt, Trini Borrul. In Madrid, she studied with legendary flamenco stars as La Tati, Güito, Merche Esmeralda and Ciro, and classic dance with Dagmara Brown. She has worked with the companies of Manolete, José Greco, Güito and “Flamenco bells”, doing tours in France, Spain, German, United Kingdom, Canada, The United States, Japan and China. She excelled as a soloist in the show “Pure Passion”, produced for Joaquín Cortés, and in “The Gypsy Muse” by Paco Peña. In Los Angeles, María has collaborated with Debbie Allen, choreographer, dancer and actress of the series ‘Fame’ in her documentaries on dance. As invited artist, she took part in the Opera “Carmen” in the Palace of Fine Arts of the City of Mexico. In 2004, she was awarded the National Prize of Flamenco Dance “Antonio Gades” in Cordoba, Spain. In June, 2006 she was awarded the prize to the best soloist choreography in the XV Contest of Choreography of Spanish dance and Flamenco in the Albeniz Theatre of Madrid. We welcome María Juncal to Los Angeles for this Vida Flamenca workshop. This will be María’s first workshop in Southern California in over 8 years. PHOTO CREDIT: © Sari Makki Photography. Vida Flamenca is honored to present Iván Vargas direct from Granada, Spain for a rare evening of exhilarating flamenco direct from the gypsy caves of the Sacromonte deep in heart of Andalusia. 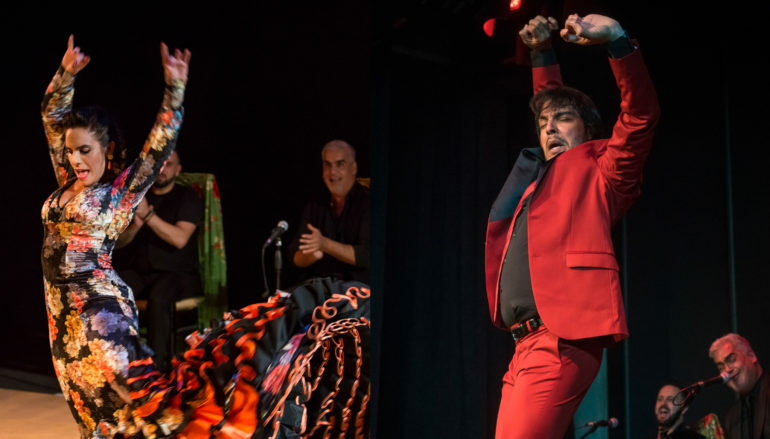 Iván comes from one of the most important flamenco families in the world and presents a special show in Burbank with fellow stars Maria Juncal and gypsy singer from Sevilla Jonathan Reyes Jimenez for two performances only. Iván grew up dancing in the famous gypsy cave ‘Cueva La Rocio’ in Granada, Spain. At the tender age of 8 he premiered in Madrid, discovered by the world-famous dancer Cristobal Reyes where he performed at the prestigious tablao ‘Zambra’. From there his career rapidly expanded, performing in renowned flamenco venues such as Casa Patas, Corral de la Moreria, Cafe de Chinitas and with solo performances at the Bienal de Sevilla, and also abroad, in Italy and the USA. 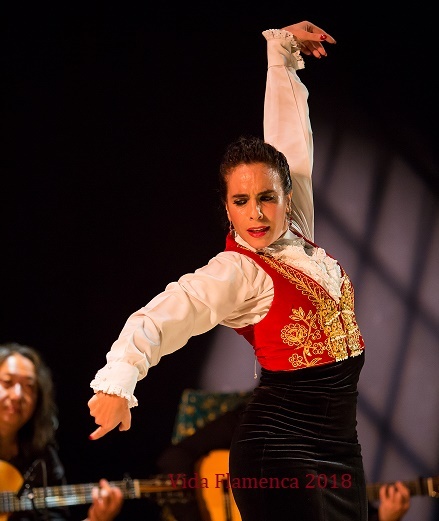 He has danced alongside heavy weights of flamenco including Eva la Yerbabuena and Farruquito as well as flamenco singers Enrique Morente and Jose Merce. His performances reflects his particular vision and feel for flamenco, yet stays true to his roots of dancing with the sights, sounds, and scents of his hometown. He mixes the energy and knowledge of his youth through collaborations with choreographers Juan Andres Maya and Manolete. This show combines past, present and future on the same stage. Vida Flamenca welcomes Iván for this special performance here in Southern California. Jonathan was born in Seville into a family with a long flamenco tradition. 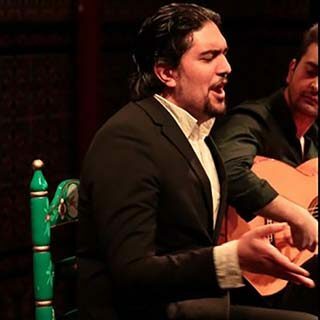 His father and grandfather musically accompanied several famous flamenco artists of the twentieth century such as Ramón Barrul and Juana Amaya, and he is a relative of the great singer José Cortés Jiménez “Pansequito”. He has cultivated a voice with a very fresh sound, while achieving the depth of mature flamenco singers. A singer for dance from the very beginning, he has outstanding rhythm in the interpretation of flamenco palos. When not touring, he performs at Sevilla’s mosy popular flamenco clubs such as Los Gallos and La Carbonería. 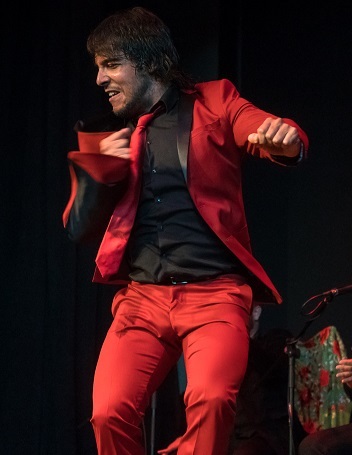 He has performed at all the flamenco associations of Andalusia such as the Seville Peñas, Torres Macarena, Cantes al Aire and Pies Plomo with various dancers such as Soraya Clavijo and Sergio González. 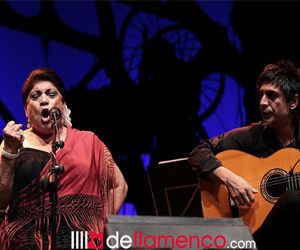 In July of 2011 at the Gazpacho flamenco festival in Morón de la Frontera, he worked with Juana Amaya and her daughter Nazaret Reyes, and took part in the show “Ritmos con Alma” of Miguel Vargas and Esperanza Fernández. 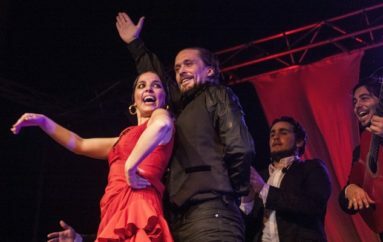 In July of 2012, he performed in Paris with guitarist David Marín and dancer Samantha Alcon in the show “Ensemble Flamenco”. Jonathan has shared billing with great artists such as Dieguito de Morón and dancers Pepe Torres and Carmen Ledesma as well as María José Santiago. Just recently, Jonathan toured with Jesus Carmona and company which included a performance at USC and at the Irvine Barclay Theater. Join us for Masterclasses with Spain’s top Flamenco artists – María Juncal and Iván Vargas Heredia. TWO LEVELS: Contact Sarah Parra, MORE HERE! This project is part of the non-profit Vida Flamenca Cultural Exchange Programming. More information here!